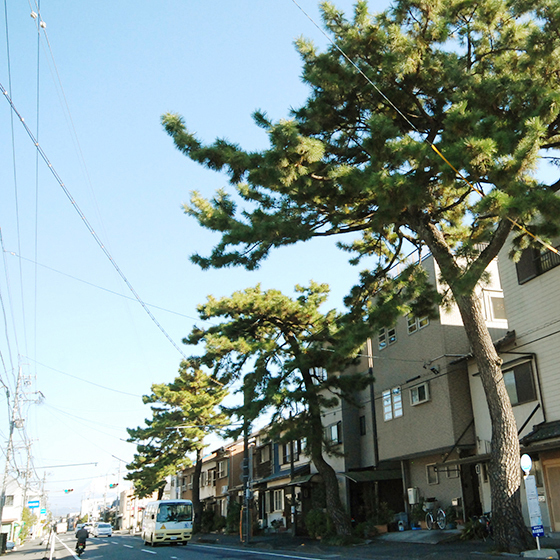 The Tokaido mostly is a boulevard of pines. Even so, it has stayed in existence only about 400 to 500 years. Accordingly, it is a new road. In addition, it has been skillfully constructed. 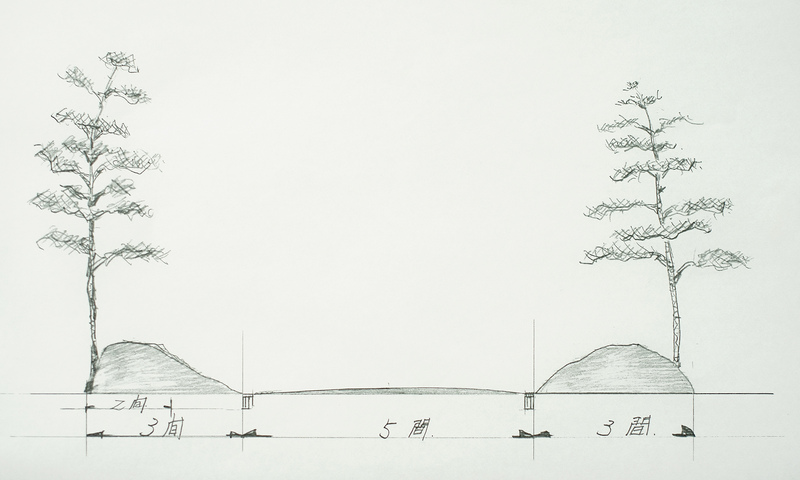 The Tokaido’s pine boulevard is 5 ken (9.1 meters) in width and has two banks with 3 ken (5.46 meters) on both sides of the boulevard. Although the slope of the banks is made gradual where facing with the boulevard and rear sides of the bounds have either steep or gradual slopes according to the terrains, pine trees are all planted on the rear slopes of the banks. The whole way. And those are cut from place to place. The insides of the road are made a little gradual in slope. This makes it easier to escape if horses or oxen go on a rampage. And when traveling in olden times, people went behind the trees to urinate or otherwise. Thus, it was not so conspicuous. The reason to make it pine was to make shields against the rain because of its evergreen nature. Pine lasts about 400 years. Since it’s too simple for the reason, they constructed milestones. Plenty of Chinese hackberries were planted there. It was really pretty good, after all. On the mountain path, the pinse are planted to a certain extent, but not planted in places higher than that. In order for the scenery of nature to be a landscape, the aesthetic perspective was considered. They carried out such things strictly. If they are not broken down, mountain paths will be meandering from that point. Such a thing cannot be planted. As an example of nurturing skillfully things matching with its terrain, the cedar boulevard of Hakone is planted surely and nicely. They substantially made the best use of nature. 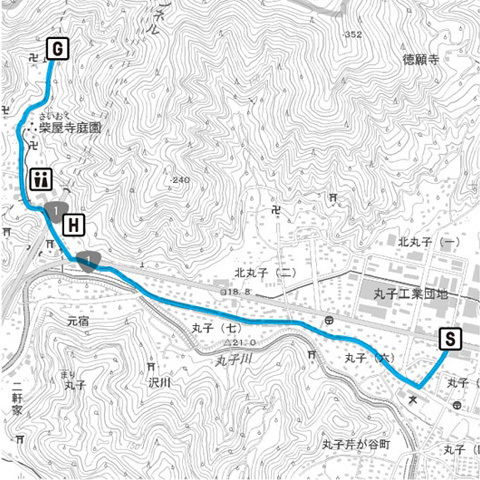 The distance from Nihonbashi to Kyoto is 125 ri (500 kilometers). 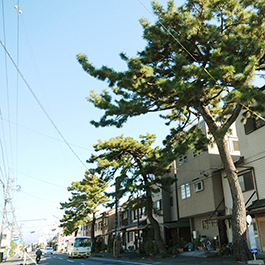 Most of what remains is in Shizuoka In Maruko and its peripheries it remains vividly. Garden designer. Succeeded to his predecessor’s name of “Touemon” given from many generations before to become the current 16th head of the line. He has grown cherry trees in Maruyama park in Kyoto, Keage Incline, Rostock in Germany and so forth.